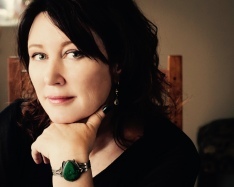 Joni Wallace is the author of three books of poetry: Kingdom Come Radio Show (forthcoming, Barrow Street, 2016), finalist for the Colorado Prize, the Besmilr Brigham Award, Word Works’ Washington Prize, and AROHO’s To the Lighthouse Award; Blinking Ephemeral Valentine (Four Way Books, 2011), winner of the Levis Prize (selected by Mary Jo Bang); Red Shift (Kore Press, 2001), which garnered a fellowship from the Arizona Commission on the Arts. She lives in Tucson, Arizona, where she teaches at the University of Arizona Poetry Center and works as a freelance editor. Levis Prize, Four Way Books, 2011 (selected by Mary Jo Bang).